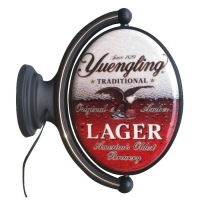 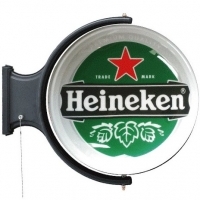 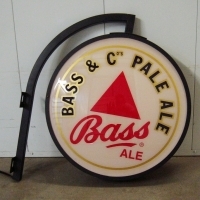 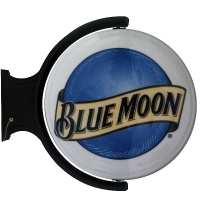 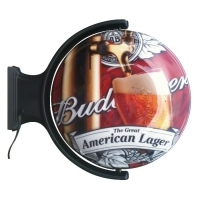 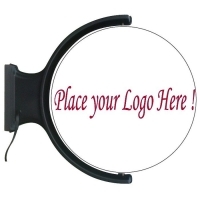 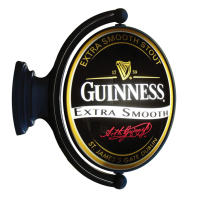 We have a great selection of brewery licensed 360 degree rotating double sided pub lights and standard stationary lights. 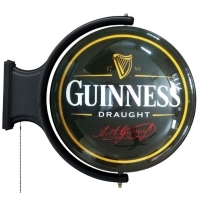 Each rotating pub light rotates continously on a north south axis and is lite within by a 60 watt fluorescent bulb. 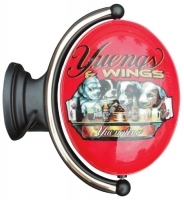 A pull chain located on the right side turns your pub light on and off. 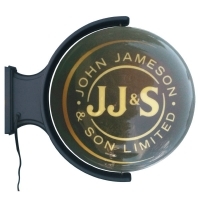 All lights come complete with a 8 ft electrical cord. 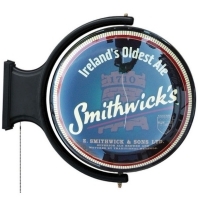 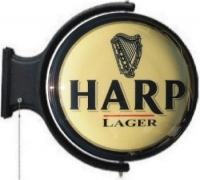 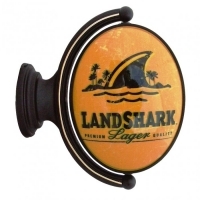 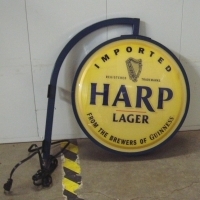 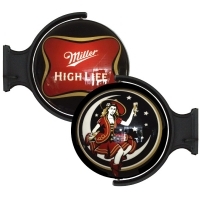 Logos include Guinness, Harp, Smithwicks, Bass, Land Shark, Budweiser & Jack Daniels & more.